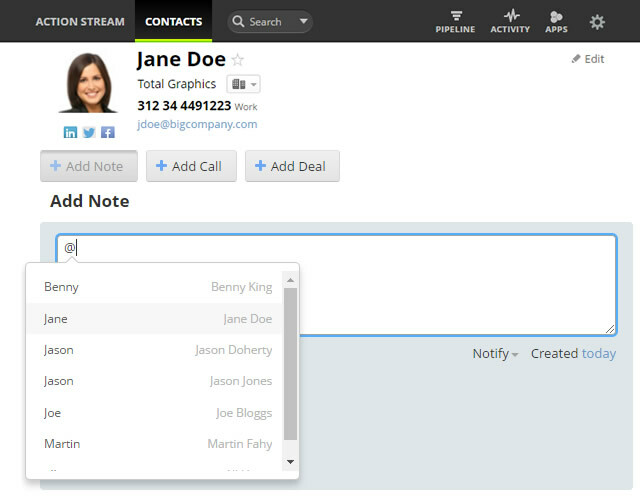 Easily notify an individual or all team members when adding a call note or note. 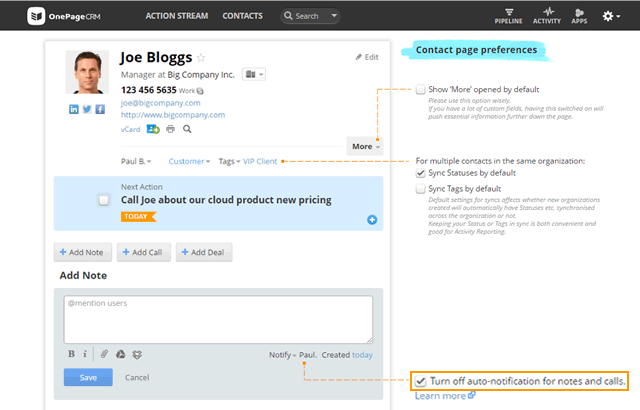 In addition, you can customize your auto-notification preferences for contacts that you are the owner of. Click on Add Note or Add Call. To notify a team member, simply type @ followed by their username into the text box. Note: type @all to notify all team members. The mentioned user will get an email to notify them you've added this note. 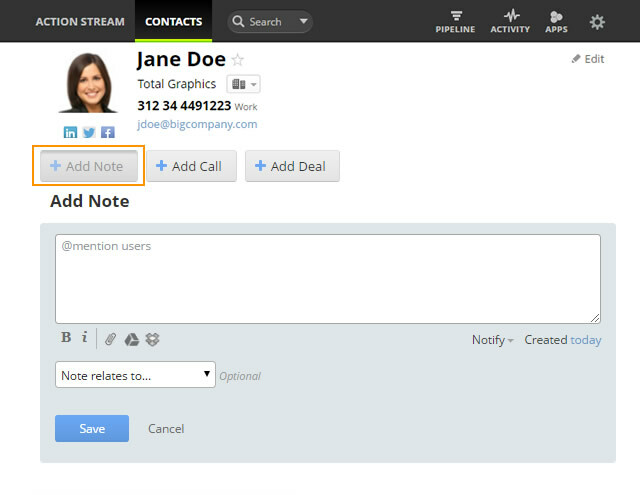 Open a contact in OnePageCRM. 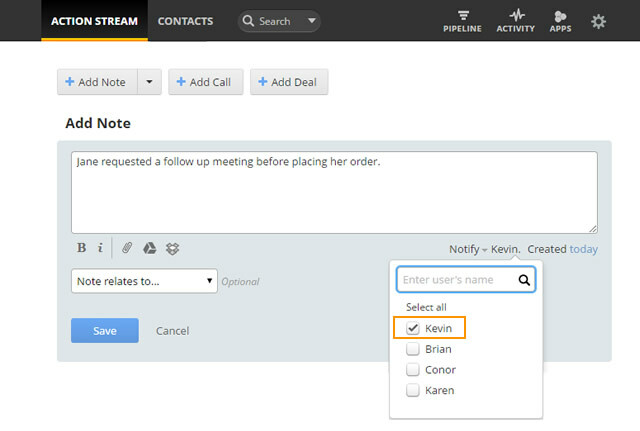 Under Notify, in the dropdown select the team members name to notify them. Under Contact page preferences → untick the checkbox if you no longer want to receive auto-notifications for contacts owned by you when another user adds a note or call. Note: The checkbox will be disabled for single-user accounts.